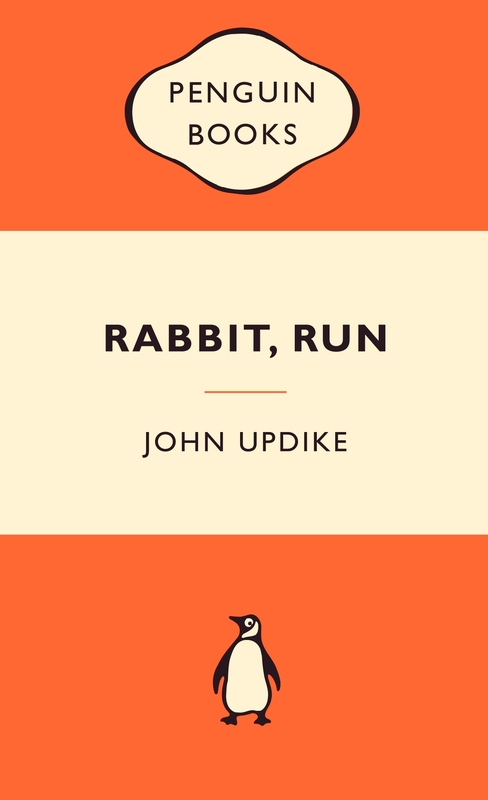 I read Rabbit, Run by John Updike. It’s a mid-century American novel. I got one of those orange Penguin Classics that sell for ten bucks. I love those. I think that’s how much a book should cost. I’m far more likely to spend money on books if I get three for thirty bucks than if I only get one. Anyway, the book is considered a classic, hence its inclusion in the Penguin collection. Whenever I go back and read books written before my time, I expect classic themes and minimal social critique. This is because I am a poor student of history and assume that everything that existed before I was born is irrelevant. Instead, Rabbit Run is unconventional in form and content. It’s about the cloying life of a 26 year old man with a wife and child. Harry Angstrom has a job he hates, a wife about whom he is kind of ambivalent, and some vivid memories of his glory days as a high-school basketballer. They call him Rabbit cause he is white and twitchy. He lives in the middle of America, in a small town somewhere in Pennsylvania. He’s not a good guy. He’s not into drugs, and generally doesn’t drink, but he does cheat on his wife a lot. He feels trapped, and the book starts with him taking off to leave his town. He doesn’t get too far before he comes back. He’s a fully formed character, with contradictions and confusion and good intentions. Someone you can imagine, not a cardboard cut-out. There’s themes of morality, religion, capitalism, morality and monogamy running through the book. The writing is not expansive like F.Scott Fitzgerald, but not quite sparse either. There’s echoes of highly stylised writing like Faulkner in there. It suits the mainly plain but occasionally breathless tone of Rabbit’s adventure. Updike went on to write three sequels to the book, each of which catches up with Rabbit a decade later. I really liked the book. I give it four out of five matte orange covers. Previous Previous post: The appeal of the steel wheel.